Second hand R Com, in immaculate condition, Has been checked over a running as it should. What is Automatic Pumping System (A.P.S.)? A.P.S. – ST is designed for easy use by adapting new tubing system developed by R-COM which is attachable and detachable with 4 rollers increasing durability. It can be available in every use to pump up the water, especially for other brand incubator. APS-PRO is originally designed for the incubators which have no humidity control function. 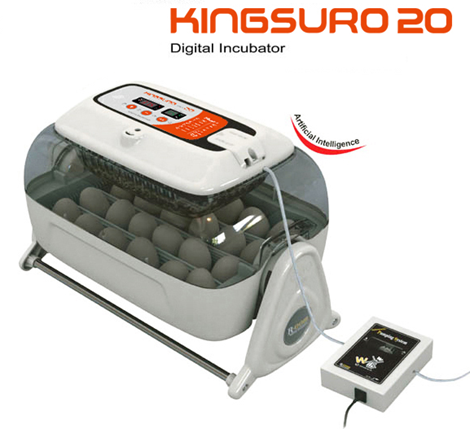 Since the user can read humidity in the egg chamber and even control the humidity by simple attachment, it is very handy to use with the non humidifying control incubators.